The majority of us will suffer from sinus pain once in a while and it can have a huge effect on our ability to go about our daily business. Luckily, there are a number of steps we can take around our own homes to ease the likelihood of sinus problems developing, whether the issues are caused by a common cold, allergies (such as hay fever or dust aversion) or a sinus infection (otherwise known as Sinusitis). Our guide runs you through the ten most effective methods you can use to keep your sinuses clear and pain-free. Sinuses are air pockets located within the bones that surround your nose. They are connected to your nasal passage by a series of small tubes and channels. Although their purpose and use are actually unclear, there are theories that suggest they play a role in controlling the amount of moisture in the air we breathe. Another school of thought proposes that they help to project our voices. If the nose is swollen and inflamed, it can obstruct the passages to the sinuses, which can, in turn, lead to a painful blockage. The sinuses also produce mucus, which can be affected by a blockage leading to congestion or nasal drip and sometimes even a tooth or an earache. If an infection develops, it can last for weeks or even months; far beyond the duration of the problem that originally caused the infection to develop (i.e. a cold or allergy). So What Should You Do To Combat Sinus Pain? Staying hydrated is an important health concern for many reasons, but it also helps keep your sinuses moist. You should drink plenty of water but avoid caffeine and alcohol, which can encourage dehydration. Fluid intake requirements differ from individual to individual and also depend on the present weather conditions, but as a general rule, you should aim to drink around 68 fluid ounces (or approximately two liters) of water every day. Hot water vapor is an effective way of moistening your sinuses and helping to keep them clear. A hot bath or shower can help remove mucus and debris stuck inside your nose and keep the passageways that serve the sinuses free of obstruction. For a further boost, try dropping some Eucalyptus Oil in the bath with you – it’s a great, natural decongestant. 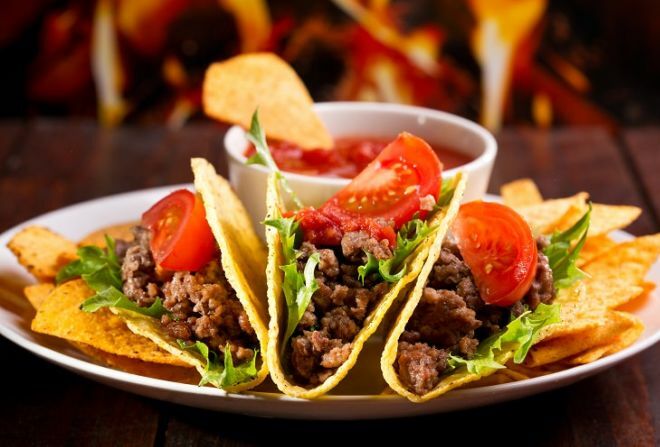 Spicy foods are not for everyone but they can help clear your nasal passages. If you are a fan of fiery foods such as curry, hot peppers, and mustard, drop some extra into your evening meal to help open up your nasal passage. A humidifier helps to keep the air moist, providing you with a great way of eliminating arid air that is a leading cause of dry sinuses. You should only use a humidifier during dry summer months wherever you live and keep your eye on it – the humidity levels should ideally sit at around 30-50%. If condensation starts to form on your windows, you need to adjust the settings or turn it off! Any humidifier should be kept clean as mold can form on them – and that can cause allergies in itself. Warm compresses can help with sinus pain as they help keep the nasal passage moist. Put uncooked rice or oats inside a clean tube sock, and add some lavender or cinnamon for a more pleasant fragrance. Microwave the compress for 30 seconds then test it. If you are happy with the level of warmth, remove it and apply it on to the nose and surrounding areas. Alternatively, fill a large bowl with steaming hot water, place a towel over your head to stop the air from escaping and lean over the bowl to breathe in the air. Again, adding some eucalyptus oil to the water can be beneficial. A saline solution can be as effective as a decongestant in combating blocked passageways that can lead to sinus pain. A saline wash thins mucus so that it can flow more effectively through the nose and surrounding chambers. Studies have concluded that saline solutions are some of the best lines of defense against sinusitis and can be used daily to prevent symptoms from developing. Allergy flare-ups are a common cause of sinus pain and we can take steps to avoid them. As allergies often flare in the evening, ensure your bedroom is kept free of factors that can contribute to irritation. Dust covers on your pillows and quilts can help eliminate pesky dust allergies and although it may leave you heavy of heart, stopping your pets from sleeping in your bedroom can help as well. If there are flowering plants in your room, you may also consider removing them if you are experiencing pain or irritation. 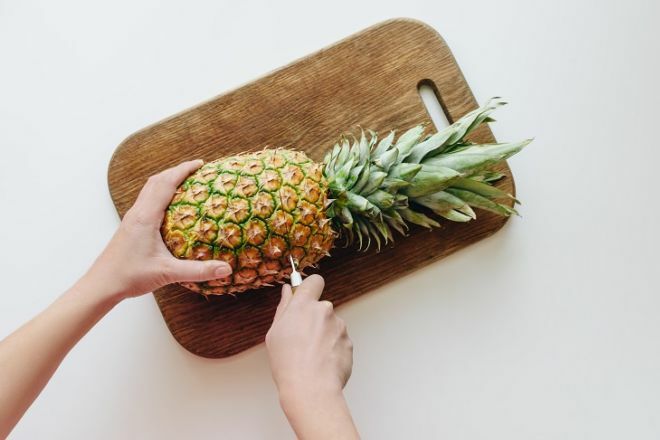 Bromelain is a protein found in pineapple stems and can be bought as a supplement from health food and natural remedy stores. It has been used by boxers and other combat sportsmen to reduce inflammation after fights and there is evidence of success when it is used to reduce swelling around the nose associated with sinus problems. You should, however, consult your doctor before taking Bromelain if you are on any other medication, as it may interact with them. Be sure to read the dosage instructions carefully. Most sinus problems are viral, not bacterial. So antibiotics should not be used in the majority of cases. Antibiotics are our best defense against bacteria but they are not effective against viruses and are not an appropriate treatment for them. Overuse of antibiotics can actually lead to bacterial resistance and make you more susceptible to superbugs. Natural remedies and over-the-counter medication should be your first port-of-call and if problems persist – move to point 10. If the natural and over-the-counter remedies fail to improve your condition, you should consult a Doctor. Doctors can make a referral for a scan which may uncover anatomical blockages that require surgery, or they can send you to be allergy tested. Your Doctor can also refer you to an Ear, Nose and Throat Specialist if your problems require a more involved or integrated form of treatment than natural remedies can provide. You can buy saline solution from your local pharmacy, but if you want to make your own you can do so. Mix half a teaspoon (2.5g) of salt and half a teaspoon (2.5g) of baking soda in 1 cup of water at room temperature. Use clean bottled water if possible. If you use tap water, sterilize it and let it cool until it is lukewarm. Use an all-rubber ear syringe which you can buy at a pharmacy. User a water flosser, set on low. Pour the solution into your hand, and sniff it up each nostril separately. Aim the solution towards the back of your head, not the top, and it should run through your nasal passageways and into the back of your throat. Once it arrives in your mouth, you can spit out the remains, so apply when near to a sink.